Sorry for the long pause in updates. I got sidetracked and I bought a Gheenoe, and if you've never seen one it's kind of like Duck Dynasty meets Hells Bay Boatworks. Or maybe just a cross between a Jon boat and a canoe. Either way, I have a 4 hp Evinrude on the back of this 13 footer so I guess that makes me an evinrude man now. 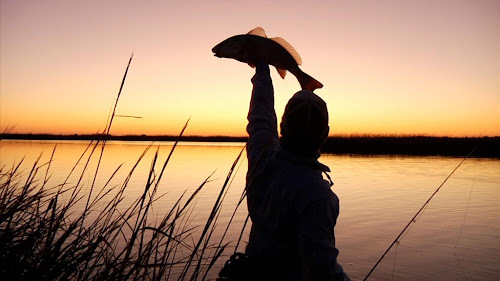 In bigger news, I'm heading out for my annual trip later this week to try my hand at the mighty redfish with Capt. Seth Vernon in Wilmington. I've been wanting to add a redfish, or red drum, or puppy drum, or bull red, or rat red, to my species list for some time so this week will be as good as any. Follow the blog this week as I update on the haps. Stay tuned for much more to come. I've gotten some things written so new "stuff" is on the way!